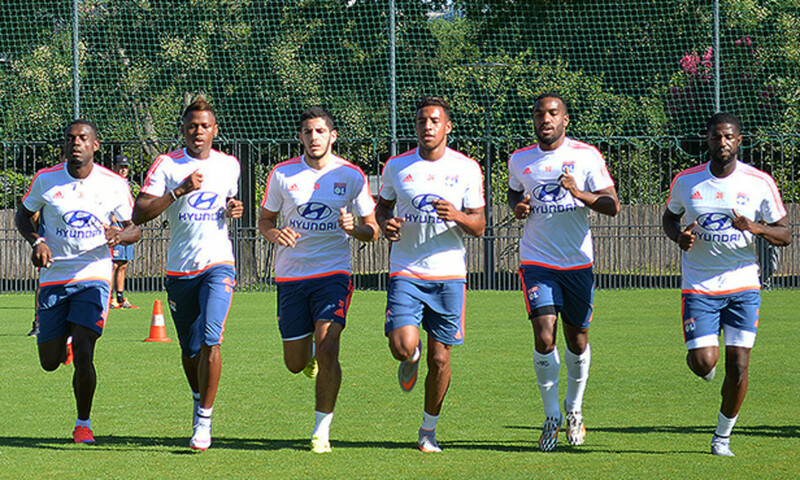 The Olympique Lyonnais players trained for the second time this week on Tuesday. Les Olympiens were back at Tola Vologe after Monday's session. Tuesday's training was divided into two big parts, starting with an intense fitness workout that included the infamous 'Beep Test' where the players have to run at an increasingly rapid. Despite the morning conditions, it was very hot and the intensity of the workload really took its toll. Christophe Jallet and Zakarie Labidi showed off their endurance skills, while Samuel Umtiti and Jordan Ferri, who extended their contracts yesterday took no part in the session. Then the balls came out at Tola Vologe for the second half of the session. The defenders worked on bringing the ball out of defence while the attacking players worked on pressing. Bakary Koné and Gueïda Fofana did not take part in the session. The next session is set for 9:45 on Wednesday morning.